Have you hear the news? We are coming home to Indiana in less than a week. We left Indiana on January 23rdloaded down with bags and belongings and launched into God’s kingdom work in Liberia. It has been incredible 9 months. We are returning for three significant reasons. First, we need to raise a significant amount of moneyto continue constructing the college preparatory high school and cover ministry operational cost, including our national staff and missionary support. This is good work that God has started; He must bring it to completion! The second reason is to see all of you face-to-face! We have longed to see you all! Soon we will see you and will speak to you on phone. During these months, could you make room for us? We would like to spend time, nights and weekends, with you, speak to your Bible study group, and share with your church. We would like to pray with you, encourage you to continue our partnership, and not to grow weary. Also, we will be glad to answer all your questions. Thirdly, we need to recruit ministry partners. Would you introduce us to your generous and compassionate friends? Thank you for being such great encouragers. Have you ever wondered how to build a huge building? After all the paper work and architectural designs are complete, you begin laying the foundation. We began with foundation work in August, the height of our rainy season in Liberia. Our construction team has worked rain or shine, and made enormous progress. The digging has been completed, foundation casting is completed, and brick laying almost completed. The casting of all columns are underway. However, the foundation work has yet to be finished. Two important tasks remaining are back filling, and slab laying which includes the casting of the entire foundation. This is the final stage before raising the walls! Today, would you make your most generous gift so we can continue the beautiful work that you have started? We are so thankful for your partnership in the Gospel, and the way you have contributed in prayer and giving. Please feel free to contact us via email while we are in the United States from October 20 through January 31st. 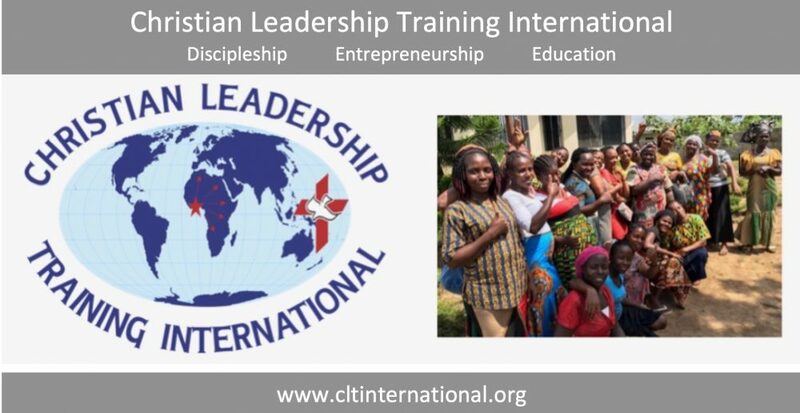 We are very pleased to be in the mission field in Liberia and to serve you, and able to disciple Liberian youth. We have lots more photos to show you! Please enjoy the photos below, and consider how you can become a greater part of this ministry. The ladies in the Entrepreneurship Program gathered at the home of Sei and Yah for a mid-year party. The ladies in the Entrepreneurship Program give a gift to Yah with gratitude. Yah gives a gift in recognition of faithful loan repayment. A gift for faithful loan repayment. Mrs. Glee receives a gift for faithful loan repayment. Jefferson sharing about his trip to Kenya and Ghana. Building Progress and a Trip to Kenya! Greetings from Liberia, and we hope you are doing well in the faithful Lord! It is about 4:15 am Tuesday, September 18 in Liberia as I write this, and I am preparing to head on the road to Monrovia on Wednesday morning, September 19th, and then off to Nairobi, Kenya. I am being joined by Jefferson Polay, our young discipleship staff here in Gompa. We have been invited to participate in a discipleship symposium in Nairobi, Kenya, hosted by the Navigators and our partner in the United States. We will also be joined by our fellow-disciplers from Kenya, Congo, Ethiopia, Uganda and the United States. Jefferson and I are very excited, and looking forward to learning some effective disciple making practices that we can bring back home to Liberia. We plan to stay in Nairobi from the 20th through 28th. On 28th, we return to Liberia via Accra, Ghana for three days stay to visit some aquaponic works and gain first hand experience as we plan to implement an aquaponics system in the near future alongside the college preparatory high school. We will depart from Accra, Ghana on October 3rd, and Yah and are planning to join you in the States for fresh coffee and “BLU Burgers” on October 17. So, please keep us in your prayer for safe travel and for fruitful conference. Also, please remember to pray for Yah and our team in Gompa as they continue the construction work. Pouring a Foundation for the Future! It was an amazing day on September 1, when we began the casting of the foundation for the new college preparatory/vocational high school. With the support (rebar) columns in place, the construction crew began pouring the concrete to form the foundation of the junior/senior high school building. We were delighted that the weather cooperated with us, and the job progressed well. We are using a lot of cement, crushed rock, and sand—700 bags of cement, and 15 truckloads of crushed rock and sand to be exact! We plan to finish pouring the foundation on Thursday, Friday or Saturday (depending on weather conditions) and we plan to begin laying brick next Monday. We cannot express fully how thrilling this day has been—to reach the point of pouring the foundation gives us great hope for the future for the education of young people in Liberia. We are grateful to God for his faithfulness, and to you for the support you give. Just a reminder of what each support column looks like from top to bottom. Once these are buried in cement, we won’t see them again! The truckloads of cement begin rolling in! Some of the 700 bags of cement in our storage building waiting to be used. Here you can see a section where the foundation has begun to be poured. Thank you for praying for us and for the kingdom work in Liberia. If you’ve ever wondered if it’s really possibly to become a Great Commission missionary, the answer is YES, YES! I know how hard it can be to imagine the end result when you are just getting started. Some might even think this is out of reach, like you won’t get here no matter what. But when you see a post like the one you are reading now, with pictures full of strong men digging these foundation ditches, working so hard so that they and their children can get quality education that is so much needed, it’s proof that it is possible. I am excited to let you know that foundation digging is complete! However, we are not yet done. We need to plant pillars and laying 8-inch foundation bricks before raising the walls. So, what’s next? We are installing104 columns and laying the 8-inch bricks with the money that YOU gave a few months back. Now, both the columns and the brick laying require cement and steel rods. Today, would you please consider a gift of $10.00 or more to purchase bags of cement for the concrete work, or $15.00 toward the purchase of steel rods for the columns? Each of the 104 columns needs three bags of cement, three pieces of 5/8 steel rods, 2 pieces of 3/8 steel rods, and a 1/2 inch steel rod (see a complete column in the photos below). Your gift will insure that our work will continue uninterrupted. Thank you! The Arrival of the Big Yellow Machine! Did you start praying quickly upon receipt of our last post? Exactly the next day, which could have been possibly the same day for most of you, we got a phone call. We were still awaiting the official response from the Superintendent’s office about our request to get a yellow machine to level our land. The work crew and Dr. Buor (top) along with some neighborhood children who came to watch the fun! In amount 20 minutes he showed up with five men. We had a great discussion and came to an agreement. In about two hours, a monster type yellow machine and a huge truck rolled in and began the work. We located ourselves in a safe spot and watched with amazement as the powerful machine rolled back and forth, digging, leveling the land, and loading the truck for about four hours. By this time they were working almost out of our view, and we could only see the truck loading soil, and tall palm trees falling left and right, as they were being cut down and bundled up into the valley portion of our land. Unfortunately, we had to halt all work in the fifth hour, as we encountered a heavy downpour of rain. By that time, about 4 pm, we had to leave. The beautiful land, cleared, leveled and ready for construction. very satisfied. What an incredible milestone accomplishment! This hillside land area is very beautiful and ready for constructing a 21st-century college preparatory high school to prepare young Liberians to build their nation and the Church of Christ! Friend, this is an answer to your prayer. Thanks for praying with us, and may God bless you!